I study the history of biology in the nineteenth and twentieth centuries, mainly in Europe. I am especially interested in the history of investigation into the organization of living things, the social organization of the sciences that study them, and relations between elite and popular science. My current research examines the history of ideas about biological individuality, parts, and wholes in nineteenth-century Europe, and their relationship to broader cultural and political movements. Beyond my research, I’m interested in rethinking how the discipline of the history of science should situate itself in relation to other disciplines and within our larger culture. 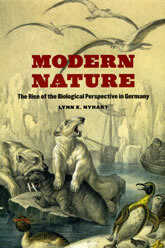 “The Political Organism: Carl Vogt on Animals and States in the 1840s and 50s,” Historical Studies in the Natural Sciences, in Special Issue: “Revolutionary Politics and Biological Organization in Nineteenth-Century Europe,” edited by Lynn K. Nyhart and Florence Vienne, forthcoming December 2017. 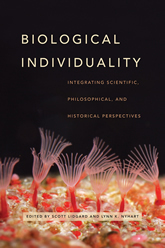 Lynn K. Nyhart and Scott Lidgard: “Chapter 6: Alternation of Generations and Individuality, 1851,” in Biological Individuality, edited by Scott Lidgard and Lynn K. Nyhart. Chicago: University of Chicago Press, 2017. “Historiography of the History of Science,” in A Companion to the History of Science, ed. Bernard Lightman. Chichester, UK: John Wiley and Sons, 2016, pp. 7-22. 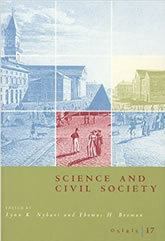 “Wissenschaft and Kunde: The General and the Special in Modern Science” Osiris 27: When Clio Meets Science, ed. 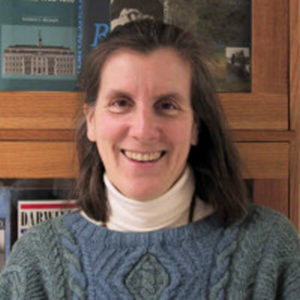 Kathryn Olesko and Robert E. Kohler. University of Chicago Press, 2012, pp. 250-275. “Voyaging and the Scientific Expedition Report, 1800-1940,” in Science in Print: Essays on the History of Science and the Culture of Print, ed. Greg Downey, Rima Apple, and Christine Pawley. Madison: University of Wisconsin Press, 2012, pp. 65-86. “Emigrants and Pioneers: Moritz Wagner’s ‘Law of Migration’ in Context.” In Knowing Global Environments: New Historical Perspectives in the Field Sciences, ed. Jeremy Vetter. 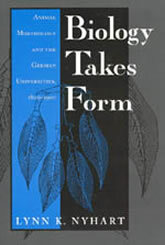 New Brunswick, NJ: Rutgers University Press, 2010, pp. 39-58. “Civic and Economic Zoology in Nineteenth-Century Germany: The Living Communities of Karl Möbius.” Isis, December 1998, 89: 605-630.